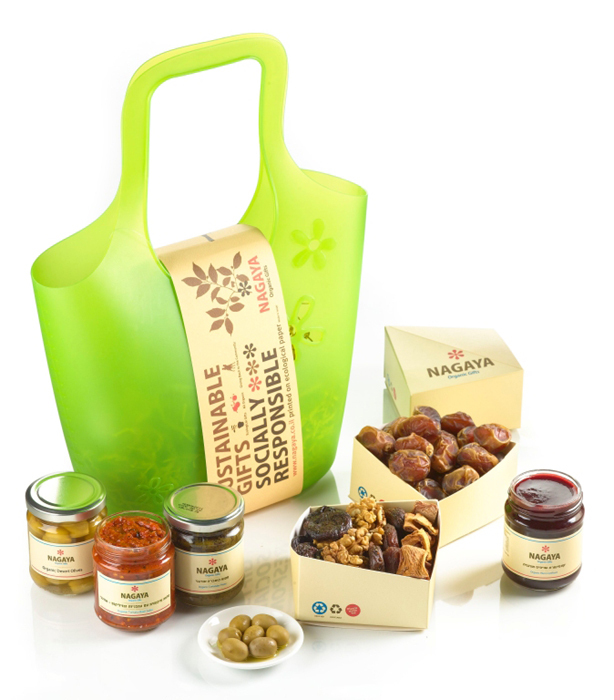 An assortment of organic delicacies packaged in a biodegradable totebag as an eco-friendly and socially conscious gift. All products are Kosher for Passover by Chief Rabbinate of Israel. Some items may be Kitniyot.